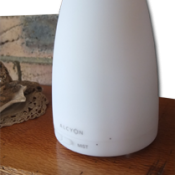 The LUA diffuser uses a highly efficient real time atomization technology to effectively diffuse essential oils into the environment. 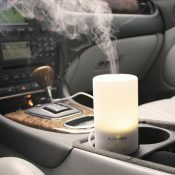 Beat the stress and calm your inner-self with the new PASSO USB Ultrasonic Diffuser from Alycon. 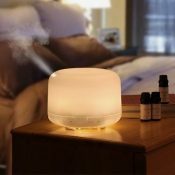 The well designed SOL deluxe Glass/Bamboo diffuser uses a highly efficient real time atomization technology to effectively diffuse essential oils into the environment. 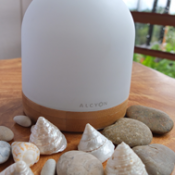 The well designed Taiko diffuser uses a highly efficient real time atomization technology to effectively diffuse essential oils into the environment. Enjoy the life-enhancing benefits of certified pure therapeutic grade essential oils with our range of doTERRA essential oils. 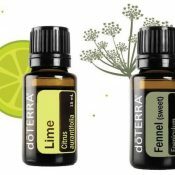 You are welcome to purchase DoTerra products direct. You may require more explanation on how to do this, however you can lot into mydoterra.com/annieclark complete the order process and enter Member ID No. 192003 when prompted. Should you need assistance feel free to contact Annie Clark +61 0402 166 187. 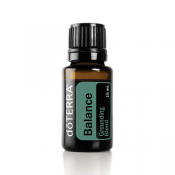 Balance is a grounding oil blend, which creates a sense of calm and well-being. Calming blend is designed to accentuate these soothing properties, creating a sense of well-being and improved health through the natural reduction of stress and its related symptoms. DigestZen Blend is an essential oil blend that improves and assists your digestive process. A perfect addition to every home, the Family Essentials Kit and Smart & Sassy essential oil blend supports an uplifting family environment. 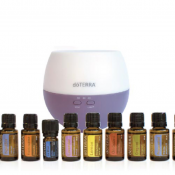 Our most popular Enrolment kit contains 10 of our most popular essential oils- the perfect way to start your doTERRA journey! Provides a sweet, licorice-honey aroma and taste. Provides a fragrant and soothing aroma. Masssage into skin diluted in fractionated coconut oil to promote feelings of relaxation. Stimulating and refreshing to the senses. 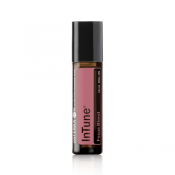 Promotes feelings of emotional balance and well-being. Breathe essential oil blend is a remarkable mix of the purest essential oils which combine to open airways and alleviate respiratory stress. We use Frankincense to improve the way we deal with stress or at least the perception of how things are’flowing or not flowing’ in our life, which is ‘stress’. We use InTune to improve our ability to focus and concentrate and retain information. 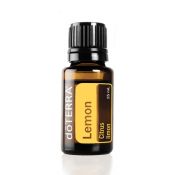 Lemon essential oil (EO) is wonderful for uplifting the senses and spirit. Diffuse in rooms to protect and rid the area of bacteria, viruses, mould, and fungi. Ideal for diffusing, great for medical and theropeutic massage receptions for control and supression of mould spores* and elimination of airborne bacteria and viruses. The many uses for Oregano Essential Oil are exceptional, especially as Oregano oil has been found to be Antibacterial, antifungal, anti parasitic, antiseptic to the respiratory system, antiviral and an overall immune stimulant.